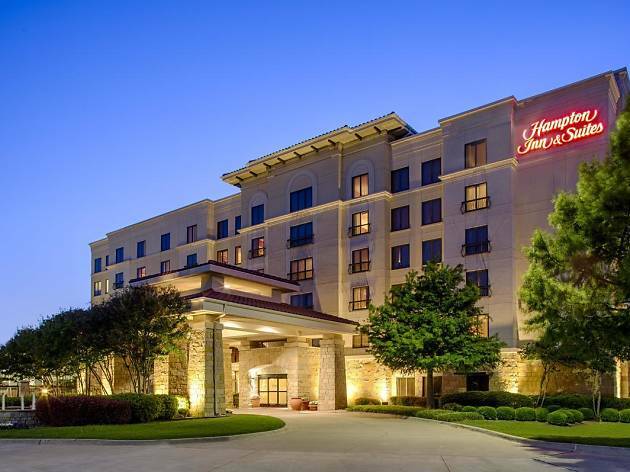 If you’re into sports and shopping, then you’ll love the location of the Hampton Inn & Suites Legacy Park-Frisco. It's within walking distance from Stonebriar Mall, one of the main shopping destinations in North Texas. 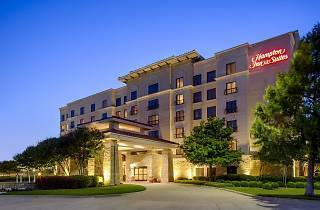 The hotel is also very close to the Ford Center at The Star, the Dallas Cowboys training facility and stadium, and a few miles from Toyota Stadium, home of F.C. Dallas. If you’re in Frisco for business, however, this location is superb because it is near Legacy Park and the headquarters of some multinational corporations. This recently renovated hotel offers spacious rooms with King and Queen sized beds, a microwave, refrigerator, and coffeemaker. The suites also include a kitchenette and a desk area. Amenities include free breakfast, free self-parking, free internet access in every room, a coin laundry, fitness center and business center. Although pets are not allowed, service animals are welcome. There are no dining facilities inside the hotel but you’re a short distance from Frisco’s fabulous restaurants and bars.